Fine Motor Skills are very important for children to master. Cutting and tracing items are good ways to accomplish that! 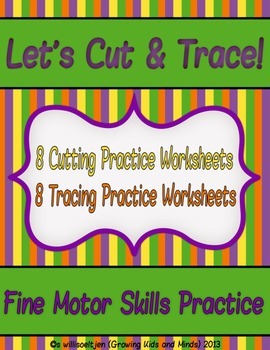 This set contains 8 cutting pages and 8 tracing pages for practice. 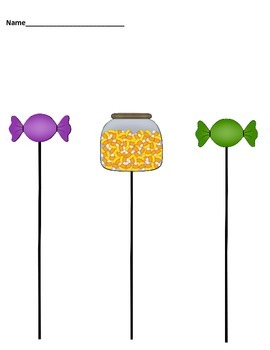 I want my customers to know that I take pride in doing my best to make my items colorful, but easy on your printer! Being a Childcare Provider, who makes her own curriculum, I know how expensive it is to replace ink cartridges for my printer and do so on a regular basis. I come from a family of teachers/educators, and I know that these days many teachers/educators are forced to use their own money to buy supplies. So I take pride in making my items affordable and easy on your printer. My Cover pages may be a little color intense, but the other pages I work hard at making them easy on your printer. Print the Cutting Worksheets and then, using child safe scissors, help or encourage the children to follow the zig zag lines as they cut. 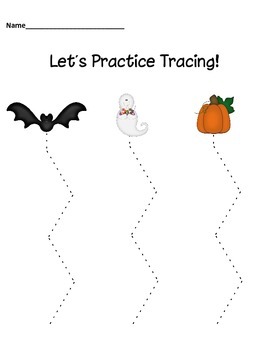 Print the Tracing Worksheets and then have the children use age appropriate writing instruments ( young children should use crayons with supervision if putting them in their mouth is a concern, older children could use markers or pencils) to trace the dashed lines.